Our web designers in Weybridge, Surrey offer your business a personal design service. We pride ourselves on taking time to talk to our clients, finding out their exact requirements and goals to produce a superior digital experience. We provide advice and guidance on the best solutions for your business. With us working on your side your website really will make an impact and generate qualified leads and greater return on investment. We have created websites for many types of businesses across Surrey, London and the UK. Here are just a few examples of local companies that we have worked closely with to create clear, easy to use sites that increase engagement and revenue. Search engine optimisation is key to the success of our clients sites. When creating a new website we build it from the ground up with the best preparation in mind ensuring that all of our new sites have the scalability to grow with your business. Weybridge-IT are proud to be part of the Google Partners program. We specialise in search and mobile ads in the UK’s most popular search engine. Over 80% of all internet or web searches in the UK are carried out via Google. This is called “mobile-first indexing” where search engines such as Google previously indexed your desktop site it now evaluates your mobile site first. As more searches now occur on mobile devices such as smartphones like the iPhone and Android handsets the index will now primarily use the mobile version of your pages. You can test your current site at: https://search.google.com/test/mobile-friendly if your site isn’t mobile friendly contact us for a free quotation. Weybridge-IT almost exclusively design our websites using WordPress! We have found it to be one of the most versatile platforms currently available. It is so popular it now powers approximately 30% of the worlds websites. Its popularity may have something to do with its user friendly interface which our clients love. If you would like to know more about WordPress and how you can use it for you site or need help with you WordPress website please get in touch. If you would like to sell your products online then WooCommerce is the perfect partner to WordPress. We have designed and created a number of very successful online stores for our clients. From smaller business to larger corporates that turnover tens of thousands. WooCommerce is one of the most customisable platforms to sell your products via the web. One of the most important parts of the web design process which we find is so often overlooked. Search Engine Optimisation (SEO) is key to generating more business, sites should be designed in such a way to be ‘friendly’ to the search engines. 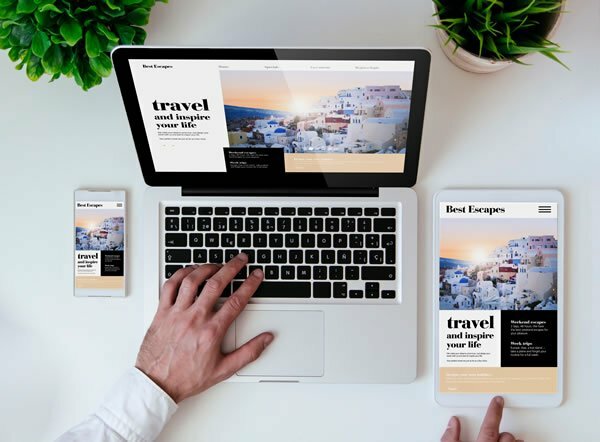 This means designing your website in such a way that is accessible, responsive, fast and contains the correct content relevant to your business or product. The are a number of forms of SEO, the organic or natural results and sponsored links (PPC or Adwords) along with other directory listing and local business listing. Our team in Weybridge, Surrey can make a real difference to the traffic and leads generated to your website. As part of our expansion and due to the success of our Weybridge office we can now announce we have opened Guildford-IT. This office has already created a number of websites for local companies in the Guildford, Godalming, Cranleigh, Dorking, Camberley and Farnham areas.